A tempting infusion of Iberian beaches, Mediterranean sunshine, grilled seafood and UNESCO World Heritage Sites ensure luxury vacations in Portugal are always worth writing home about. The historic center of Porto is an outstanding urban landscape with a 2,000-year history. 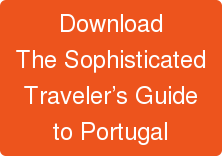 Lisbon, the capital city, is the home of Vasco de Gama and other early explorers. A luxury adventure features one marvel after another—the Castle of St. George, the Jeronimos Monastery, the Discovery Monument, to name a few. Culture mavens thrill to medieval towns and villages surrounded by verdant olive and citrus groves. From the romantic royal retreats of Sintra to the renowned wine estates and cobbled streets of Évora, Portugal is ablaze with cultural gems, the ideal setting for a luxury journey in south-western Europe.